Being a Coeliac – whats it like where you are? Where do I start? I was diagnosed as a Coeliac late in life(2013 to be precise at the age of 57). At the time, it was a bit overwhelming for me and my family. The first time shopping was a nightmare as all the labels had to be read! I am pleased to say that since 2013, the situation with regard to the availability of Gluten Free products has improved greatly(in large part due to the efforts of Coeliac UK ) . Eating Gluten Free at home is easy now and I am pleased to say the occurrences of ‘being glutened’ are thankfully few and far between. Eating out is where the challenge lies. The UK government DID bring out legislation to help (and it has), but the response of restuarants big and small is pretty much across the spectrum. Restauarant staff Coeliac awareness is much better. What lets many eatries down is how they deal with Coeliacs. The more enlightened ones(Bella Italia, Pizza Express, Handmade Burger Company, to name but a few) have updated their menus to clearly indicate which options are available to Coeliacs, some have even gained certification from Coeliac UK. Others seem to consider this too much effort and their response is to drop a huge folder of information on my lap and leave it to me to decipher what I can eat, based on their use of icons etc. Not good enough. When I go out to eat, I want to be able to pick something Gluten Free without making a drama of it.Too often I take the easy option as I cant be bothered to take the time to read through all their matierial. I do have a good idea whats ‘Safe’ after 3 years (although can still be caught out). Hotels are much the same. I stayed at one recently that looked very promising. Gluten Free cereal, bread for toast, but oh dear, ask for Gluten Free sausages with a cooked breakfast? I have had some very positive side effects from being Gluten Free. I feel the best I have every felt health-wise. Asthma that has plagued me since birth has gone completely. I have started experimenting with drinking normal beer to see what happens . Nothing untoward so far. Easy steps. So, in the UK, its getting easier all the time. If we can just crack eating out… How is it where YOU are? I’d be very interested to hear. Thanks for reading. Time for an update on my Gluten Free journey. I was diagnosed as a Coeliac on December 6th, 2013. My previous update can be read here(Earlier Coeliac Article). I am in the process of having a 2 year review (Endoscopy done, blood test and session with consultant due in early 2016). It’s looking good, it seems that the damage done has healed well. I have to say I feel the best I have EVER felt. So much so, that my lifelong Asthma has disappeared – which I can only attribute to becoming Gluten Free. When I realised what had happened and polled a couple of Facebook groups I belonged to, others seem to have seen positive benefits to their overall health. Admittedly, some had seen the development of some issues also, but it has been a great experience for me. It was a shock at first when I considered all the things I could no longer eat or drink– the most disappointing was the removal of real ale! But, overall, things have never been better (mostly). More and more Gluten Free products are becoming available(including Beer/Lager – YAY), although the prices are still high. Restaurants are now legally obliged to indicate GF offerings on their menus. I do occasionally get ‘Glutened’, i.e. eat something containing Gluten, but thankfully it’s happening less and less. I am finding that now I am Gluten Free, being ‘Glutened’ is not something I want to happen as its impact is more severe now than it used to be. Coeliac UK (UK Coeliac Charity) are doing a great job of raising awareness as well as alerting when products have challenges. One of the mainstream supermarkets in the UK actually included Gluten Free offerings in their Christmas advertising. I have finally mastered the art of Gluten Free Yorkshire Puddings, Stuffing and Dumplings… now if I could just come up with a foolproof recipe for bread, I’d make a fortune. Thanks for reading. Enjoy the break over the festive season and a happy new year. Being a Coeliac – certainly Life Changing – but NOT the end of the world! As occasional readers will know, I was diagnosed with Coeliacs disease after a year of ill-health almost 2 years ago now. The diagnosis was, as the consultant told me at the time, ‘Life Changing’. I wont bore you with a definition of Coeliacs disease, just use your favourite search engine and look for Coeliacs (UK spelling) or Celiacs (US). Suffice to say the body reacts adversely in various ways to Gluten, none of it good. Being genetic, its a bit of a mystery why it only became more aggressive in later life for me(57). I suspect a virus I caught triggered the increase. Once diagnosed, my consultant sorted out a session with a dietcian and pointed me at Coeliacs UK (The UK Charity), which is a great source of information and support to newly-diagnosed Coeliacs. I (and my wife) had a very steep learning curve. Gluten seems to be in just about everything (including some medicines – beware!). The first shopping trip after diagnosis took ages (every label had to be checked). I also discovered that as a diagnosed Coeliac in the UK I was (and am) entitled to get an amount of Gluten Free staples on prescription – hint for the UK – consider getting a pre-paid NHS prescription card – can save you a fortune. Unfortunately the NHS are cutting back on this. But on the bright side their is increasing availability in the high street to offset this (and while more expensive than Gluten-laden options, still cheaper than a prescription item). We also discovered the need for separate toasters, butter/margerine/chopping boards etc to avoid cross-contamination. In that first year, we attended the AGM of Coeliacs UK – extremely useful to be able to gain insight from fellow sufferers and also knowledgable experts and also the Allergy and FreeFrom show, which again was very useful – in the first year. To be honest, aside from the weekly shop hassle, once we had the kitchen sorted, the biggest challenge was eating out. Shopping has been made much easier this year by the regulations introduced by the UK Government that all foods have to have allergy information on the packaging and in terms of eating out, restaurants are now much more aware, with many chains having Gluten Free specific menus. I had my first overseas Gluten Free holiday last year (2014) and viewed it with some trepidation. 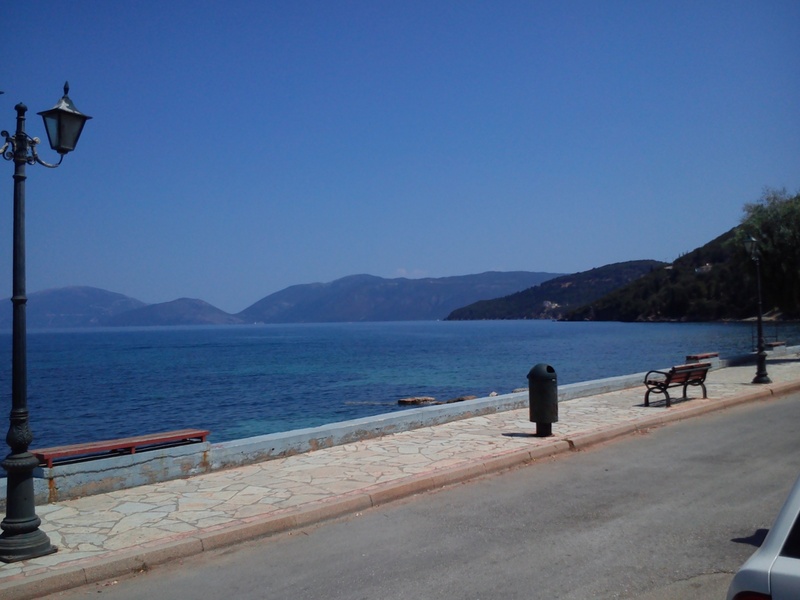 We went to a Greek Island, Cephalonia. Before we went I looked on the web for any information related to a Greek Coeliac organisation. Luckily there was one and they had created a document, containing the requirements of a coeliac in Greek, which was invaluable when eating out. In truth, it wasnt anywhere near as fraught as I thought it would be and we even discovered a bakery that baked gluten free bread and rolls. I must confess that I did take some Bread, Pizza Bases and Pasta with me on holiday, just in case. But we found that even the smallest supermarket had come Gluten Free products available and clearly marked (just as well as my ability to read Greek is non-existent). I DID have a completely unexpected side-effect of becoming Gluten Free. I had suffered with Asthma since my teens. I am very pleased to say that it has disappeared. My overall general level of health is greatly improved. My daughter has had a variety of issues with her stomach since she was about 7 or 8 (she is now 19). When I was diagnosed, we had her checked and it turns out she has it too! If there is one member of the family with it there could be others.. worth checking. We are pretty much a Gluten Free household now (although I haven’t been able to persuade my wife to eat Gluten Free Bread! ), which makes things much easier. I do still get caught out occasionally – hint check the ingredients even on products that you know are Gluten Free – they can (and DO) change the recipes. I’m finding being a member of Coeliac UK less useful now as I gain knowledge. Likewise for public exhibitions like the Allergy and FreeFrom show. The general level of awareness has improved massively in the last couple of years. Its becoming easier to be a Coeliac every day. At the end of the day, being a Coeliac has its challenges, but all very controllable. Its just an issue with FOOD – it could be much worse. So.. an update on the Coeliac/Gluten Free Journey…. I’ve now been Gluten Free for about 18 months. Their was a steep learning curve. It took me a while to get to grips with the finer points. Over the 18 months the situation with many of the supermarkets has improved greatly. Legislation to accomodate allergy sufferers in restaurants has helped greatly. Their are those of ‘US’ who HAVE to be Gluten Free, those who choose to be Gluten Free. There have been quite a lot of articles about the ‘FAD’ of Gluten Free and it expense (no arguments from me re the cost – it SERIOUSLY needs to reduce). Speaking for myself, I feel the best I have ever felt. I had a long term condition, Asthma, which has all but disappeared since I ‘ve been Gluten Free. I did a completely unscientific survey on Facebook (more on that later) and found a number of people who seem to have seen an improvement. Of course there where also folk who seem to have picked up problems. Facebook. In my view a modern curse. I DID join a couple of Facebook groups for Coeliacs. Iwas amazed at peoples propensity to publish THEIR medical data and ask the group what they thought… REALLY? Their was also a growing trend for people who seemed to lack the abiity to read or use their brains to take pictures of the ingredients off a product and ask if they could eat it! My newsfeed stream was full of this, so I left. My plans for a shop are on hold – given the way things have changed with Supermarkets and the set up cost, its prohibitive . I’m still looking for that ultimate Gluten Free idea. The Allergy and Free From show was invaluable in the first year. I recently returned to the 2015 show and decided that there wasn’t enough different to justify the trip to London. I still get caught out. Mostly by sauces that get put on Steaks.. but I’m getting there. At the beginning, It seemed like an impossible cliff – how was I going to eat given the limits. 18 months later, its a way of life. Its been a while .. just what have I been up to? Its been a while since I posted… since I left my previous employer, life seems to have been very busy. I honestly don’t know how I found the time to work! Things are ticking along from a Gluten-Free/Coeliac perspective. I am still trying to find a real, physical space that I could use to open a shop in, but the costs are prohibitive at the moment. Oh and I have offered my services to Coeliac UK as a governor – waiting to hear what the next steps on that will be. BTW.. if anyone out there knows of an eatable recipe for GF Dumplings I’d love to hear from you! All my attempts have failed miserably so far. Learning to ride a motorbike. Well the good news is that I passed the theory test. The weather was against me back in February, so its on the agenda to be revisited in April, when hopefully the weather will be kinder. I still plan to be on the road as a fully licenced ‘Biker’ by late summer. 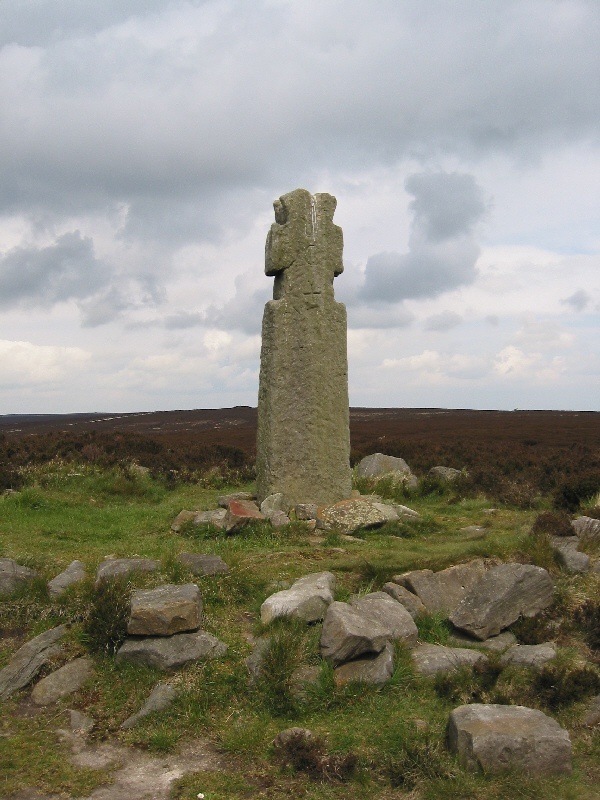 My trip ‘Up North’ is all booked up for me to do the Lyke Wake Walk the day before MidSummers Day (Scary thought eh as we are in early March!). Finally I am still working on getting my consulting business going – lots of potential.. but its all just potential at the moment. I’ve decided to take my chances and declare it. I’ll let you know what happens. Being a coeliac certainly re-shapes your perception of food. I think I have a pretty good handle on it now. I’m even working my way through the various GF beers(to be honest beer is the one thing I really miss – I used to love a nice pint of real ale). Personally not much has changed – well apart from having been told that I need to take Calcium tablets to offset some bone mass loss. Overall I feel great, the best I have felt in years. My daughter has been through the diagnosis stage and it’s pretty much confirmed she has it also. She has suffered with stomach problems since she was about 10. Finally she will feel better. However, even though she is only 18 its not the end of the world. Availability of GF produce is improving all the time – many more options. I used to eat a lot of bread (hey I AM a yorkshireman) but I do miss the varieties. Their are some good attempts by the various manufacturers, but its not even close (how could it be). Anyway, I will be Cephalonia bound a week today. I have to say I am really looking forward to being back on the island.